Picture Perfect 3D/4D Ultrasound Imaging is the best 3D Ultrasound Houston TX has to offer and we are also the top 4D Ultrasound Houston location for gender determination. We offer 40+ years of sonography experience and our ultrasound technicians are ARMDS certified. Our extensive ultrasound experience combined with a comfortable environment has led to 5-star ratings from our customers on Google, Facebook, and Yelp. We make sure that mothers are comfortable and their guests also have a great experience at Picture Perfect 3D/4D Ultrasound Imaging. Getting a 3D ultrasound is a similar process to having a 2D ultrasound. The main difference between the two is the technology used and the final product. 3D ultrasounds and 3D sonograms are simply a collection of 2D images put together to provide a clearer picture. 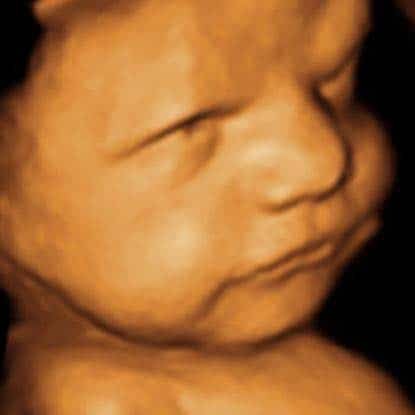 In fact, a 3D ultrasound combines thousands of pictures of the baby and then uses technology to turn the pictures into 3D ultrasound images that provide more detail of the exterior of a baby than a 2D ultrasound picture. A 3D ultrasound is elective, and non-medical. Therefore, expecting mothers should get permission from their doctor before getting a 3D ultrasound. 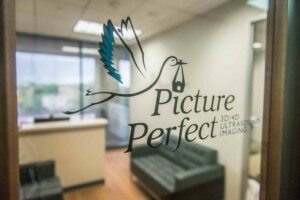 When is the Best Time to Schedule a Session With Picture Perfect Imaging’s 3D Ultrasound Houston Location? We have team members available to schedule your appointments and take your calls 24 hours a day at 832-783-8992. You can also book online at anytime on our Schedule Appointment page. Find out if it is a baby boy or a baby girl. To ensure 100% accuracy you must be at least 20 weeks and receiving prenatal care. Sometimes the sac on a boy does not drop until 20 weeks. The only 3D Ultrasound boutique in Houston, TX that can do gender reveals at 14 weeks. Congratulations on your new baby! Now you can see your new little one in person and compare him or her to your 3D 4D Ultrasound images! Picture Perfect 3D/4D Ultrasound Imaging is conveniently located in the Houston, TX’s Museum District.